Gulmay offers a broad range of oil-cooled bipolar 320KV metal ceramic X-ray tubes providing a variety of target angles, focal spots, and power capabilities. 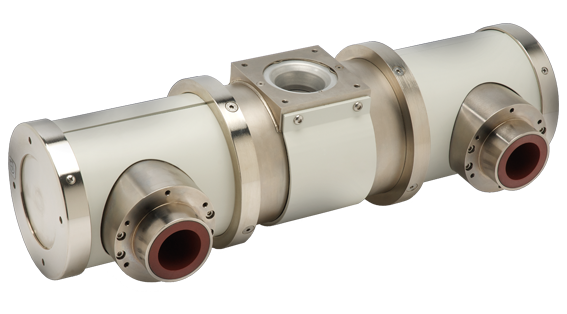 For inspection applications that require different imaging parameters, dual and single focus X-ray tubes are available, with small focal spots for high-resolution imaging. In addition, Gulmay offers X-ray tubes with Beryllium (Be) windows for low inherent filtration. Please fill out this form if you would like more information about the Bipolar 320KV X-Ray Tubes.